Your time is not FREE, so spend it wisely. Take some time to do, read, and try things that feed your soul. For the month of April, here are some goodies we are looking forward to. We swapped out the April SMC book selection at the very last-minute (trust me, you will LOVE what we selected). For the past seven weeks, I have tried to figure out the big ending of the on-screen adaptation of Big Little Lies and after watching the finale on the HBO show, I have to read the book. They say, that books are always better than the movie and if that proves to be true, it will be nothing short of amazing. It’s time for you to pull up your sleeves and get to work. This month I challenge you to get rid of everything that does not make you happy so that you can give your attention to things that do. For me, that always starts with physical clutter. I cannot think clearly in a cluttered space and I am willing to bet that some of you can say the same thing. I do a little at a time and I start with the quickest project that will give the quickest gratification. My purge started with my nightstand where I keep a mix of books I’m reading, books on display, journals (I am always writing something), jewelry, phone accessories, receipts, water etc. See what I mean? It’s funny, do we even need or love half of the material things that are taking up space in our space? Take that stuff and sell it to put towards a savings goal…like that dream vacation so many of you wrote to me about. I don’t care what you do with it, just get it out of your space. Nightstand done….next up, my makeup vanity. I love entertaining, which makes sense considering I worked in the luxury event design industry for the past five years. Since that has taken a less dominant role in my day-to-day responsibilities, I now have time to host my own events for friends and family. This month we will give you the tools you need to plan a party like an event pro. 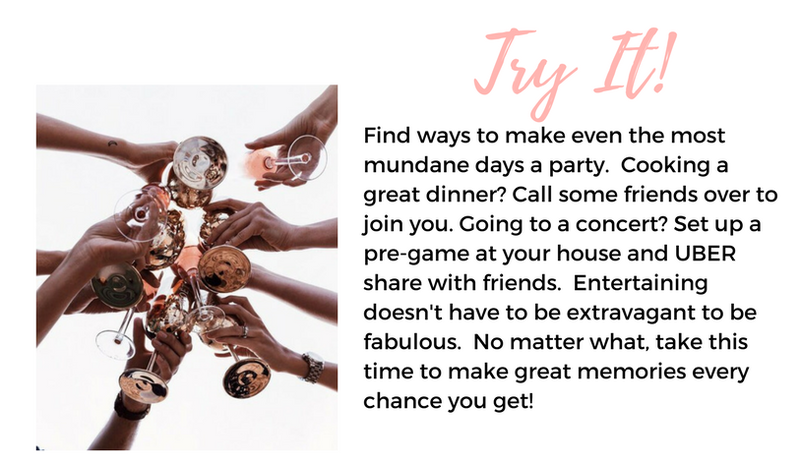 You will learn how to prep your home/apartment for guests without blowing your budget and see inspiration on how to pre-game for a night out like a VIP. 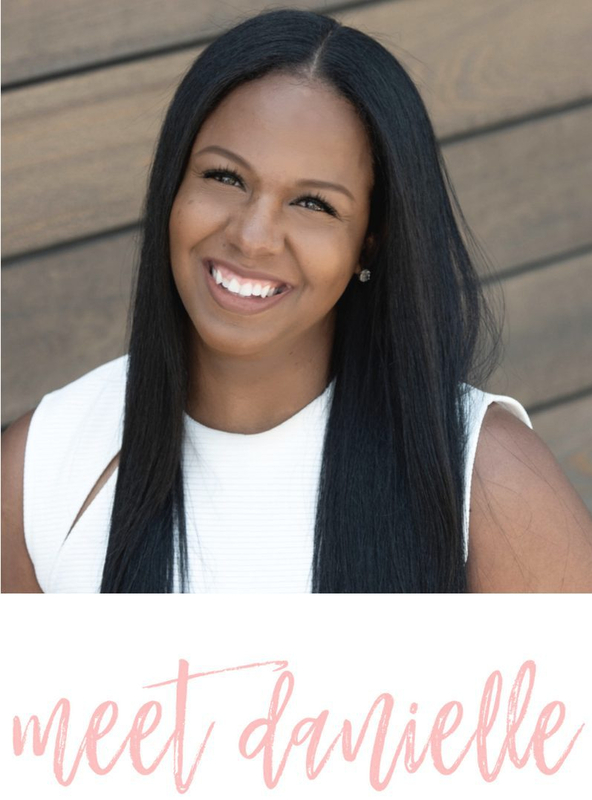 I will even let you in on my insider’s hack that combines a great purging and entertaining tip to create a simple and chic DIY your guests will love! We shared the Girl’s Guide to Travel: 5 Trips Every Woman Should Take This Year so now it is time to start planning one of those trips. I can’t tell you which trip to plan first, but I will show you the best places to invest your hard-earned money in with regards to your travel plans. When is the best day to buy an international plane ticket (you can find that answer here)? How to make the best road trip playlist? How to tip appropriately at all-inclusive resorts? How to stay safe on a solo vacation? Previous 5 Trips Every Girl Should Take This Year! The best trip I ever took with my boyfriend to Aruba. We turned off our phones and enjoyed the most luxurious experiences the island had to offer like massages in cabanas and romantic candlelit dinners on the beach. We stayed for about a week before we both had to return home for work. Work hard and play harder. Emily, thanks so much for your comment. Aruba is a beautiful island. The Mr. and I went there for our honeymoon and enjoyed the private ATV tour of the entire island among other things. We stayed at an all-inclusive hotel so our food and drinks there were free, but we also ventured away from the hotel to try restaurants and local cuisine. That is an excellent point, you can sell your unused things and add it to a bonus box on the 52 Week Bingo Money Challenge. If it is something that can’t be sold, you can even donate it to someone who can use it. Thank you so much for your comment!